Would you ever dream of going outside on a windy day and throwing a stack of hundred dollar bills in the air? Canadian growers spend upwards of $100/acre on fertilizer. Urea is the most commonly used nitrogen fertilizer due to its high N analysis, low cost and ease of handling. Yet, surprisingly, many are still shocked to learn how much nitrogen they may be losing to the environment. Did you know: A very low percentage of fertilizer applied worldwide is being utilized. Globally, the average for nitrogen is only 30%. In Canada, we fair slightly better – at 50%. Fact: Up to 50% of nitrogen applied as urea can be lost to the atmosphere as ammonia (NH3) due to urease enzyme activity. There are three main causes of potential nitrogen loss: volatilization, denitrification and leaching. Fortunately, with some sound agronomic advice, you can ensure the money you invest in nitrogen is benefiting your crop – and contributing to your bottom line. Before we learn how to maximize usable nitrogen in your fields, let’s review the Nitrogen Cycle to show how nitrogen loss occurs. 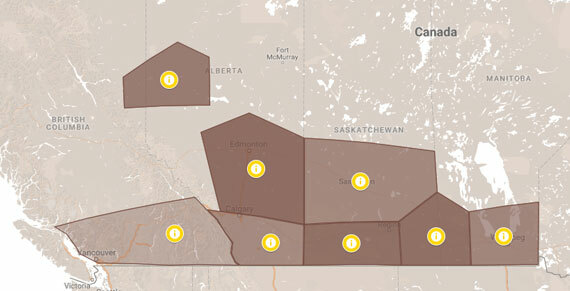 This is the most important stage in the cycle for the majority in western Canada, as it affects all growers and all soil types. A urea fertilizer is applied to the field. When ammonia reacts with hydrogen molecules in the soil it is converted into ammonium – which is stable and plant-available. By slowing down urease enzyme activity, up to 98% of the urea is converted to ammonium – which is usable to the plant. Stage two typically applies in areas that are prone to high moisture content, flooding and high water tables (conditions common in Manitoba). Once urea is stabilized in the soil as ammonium, bacteria in the soil will convert it first to nitrite (NitroSomonas Bacteria) and then to nitrate (NitroBacter Bacteria). 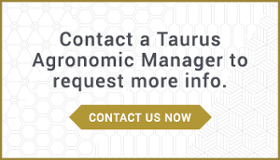 This conversion process commonly occurs after the soil temperature exceeds 5°C. Nitrate is available for plant uptake, but it is also susceptible to denitrification, which commonly occurs in low oxygenated soils (waterlogged or heavy clay soils). Bacteria will strip oxygen away from nitrate, converting it back to a gas allowing it to escape back to the atmosphere. 1. Use a nitrogen stabilizer. There are several types of nitrogen stabilizers available to help prevent nitrogen loss. Using a nitrogen stabilizer will ensure the money you spend on fertilizer doesn’t evaporate into thin air or leach into the soil. i. NBPT Products – N-butyl Thiorposphoric Triamide (NBPT) is a chemical that inhibits the activity of the urease enzyme from 14 to 28 days, depending on application rates and soil pH. 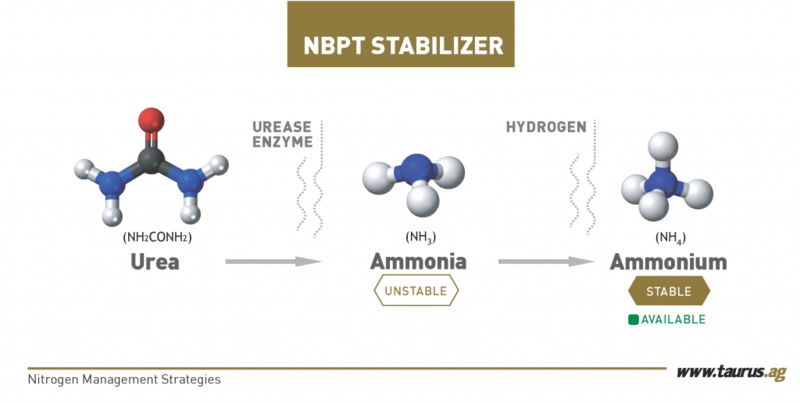 This will slow the conversion from urea to ammonia, which allows more time to find hydrogen to be utilized in the conversion to ammonium (which is stable). 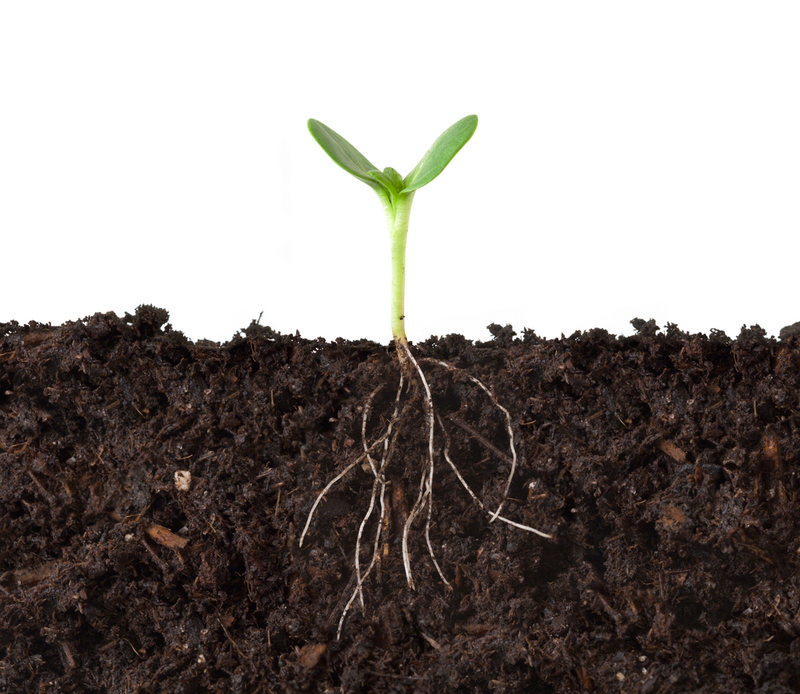 Leading NBPT products prevent volatilization, retaining up to 98% of nitrogen in the soil where it is of direct benefit to the plant. It is important to note that urease enzymes can remain active in the soil as low as -16°C. Standard NBPT products can pose a challenge to Canadian growers, as they can be difficult to handle in cool spring temperatures and have issues with treating capability. Factor this in when choosing an early or late season NBPT product. ii. Polymer Coatings – These products also prevent volatilization. They work by surrounding the urea molecule, slowly releasing nitrogen through a mechanical process that is triggered by soil temperature and moisture. iii. 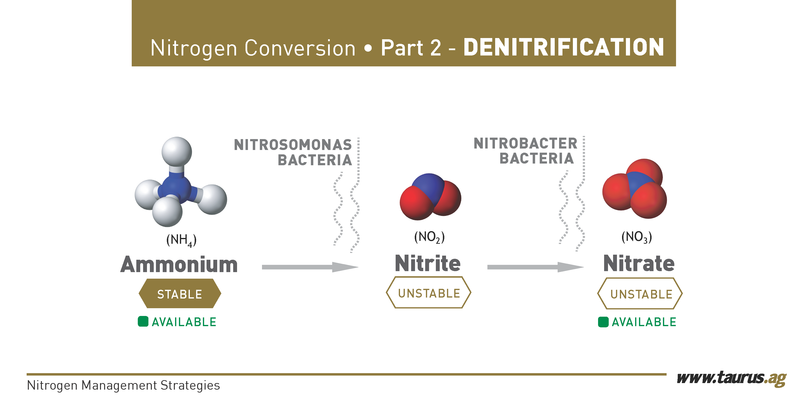 DCD Products – Dicyandiamide products are a class of nitrification inhibitors that target bacteria at stage 2 of the Nitrogen Conversion process. By inhibiting the activity of the bacteria, this chemical slows the conversion of ammonium to nitrate. iv. Nitraprynin Products – This chemistry is primarily used to combat the effects of denitrification, which is common in areas prone to flooding and works in a similar fashion to DCD in inhibiting the activity of the bacteria responsible for conversion of ammonium to nitrate. For years, growers were led to believe that once the urea particle was covered in the soil, you were protected from volatilization. Unfortunately, we’ve learned through several research studies that this is simply not the case. High pH soil is low in hydrogen; low pH has a lot of free hydrogen. That is important to know when working with nitrogen stabilizers. When ammonia bonds with hydrogen it converts to ammonium, so volatilization rates are lower in acidic soils. Moisture will also provide free hydrogen help to stabilize ammonia. Be careful here though, as a little rain can speed hydrolysis and increase volatilization. Usually ¾ inch of rain in one event is required to ensure ample hydrogen is supplied for proper conversion to ammonium. Applying more is not always the answer either. Your soil only has so much buffering capacity due to concentrations of free hydrogen. If your soil can buffer 70 Ibs of actual N and you apply 90 lbs, 20 Ibs is susceptible to loss. Putting on 110 Ibs of actual N would therefore cause you to be prone to 40 Ibs of nitrogen loss. Better to spread out the conversion over time to ensure the ammonia being released can find the free hydrogen it needs to stabilize as ammonium. Keeping nitrogen in the soil is money well spent. Through a sound nitrogen management plan, you can help ensure the money you invest in urea or UAN isn’t wasted. When you calculate the cost of loss of yield production due to insufficient N, protecting your nitrogen is always a wise investment. But don’t guess. Surround yourself with good agronomic tools and information to make the best decision for your operation. As always, the key part of this strategy is to get sound agronomic advice and to know your soil. Consult your local agronomist or retail representative to find which stabilizer best suites your soil type. *Source: “Using NBPT to Increase Efficiency and Safety of Urea Fertilzer”: C.A. Grant, Agriculture and Agri-Food Canada.